J. Schrauwen, D. Van Thourhout, R. Baets, Iodine enhanced focused-ion-beam etching of silicon for photonic applications, Journal of applied physics, 102, p.103104 (2007) . J. Schrauwen, F. Van Laere, D. Van Thourhout, R. Baets, Focused-ion-beam fabrication of slanted grating couplers in silicon-on-insulator waveguides, Photonics Technology Letters, 19(11), p.816-818 (2007) . S.-P. Gorza, D. Taillaert, R. Baets, B. Maes, Ph. Emplit, M. Haelterman, Experimental characterization of optical-gap solitons in a one-dimensional photonic crystal made of a corrugated semiconductor planar waveguide, Physical Review B, 74, p.235327 (2006) . H. Desmet, K. Neyts, R. Baets, Modeling nematic liquid crystals in the neighborhood of edges, Journal of Applied Physics, 98(12), p.123517 (2005). W. Bogaerts, P. Dumon, D. Taillaert, V. Wiaux, S. Beckx, B. Luyssaert, J. Van Campenhout, D. Van Thourhout, R. Baets, SOI Nanophotonic Waveguide Structures Fabricated with Deep UV Lithography , Photonics and Nanostructures: Fundamentals and Applications (invited), 2(2), p.81-86 (2004) . D. Taillaert, H. Chong, P. Borel, L. Frandsen, R.M. De La Rue, R. Baets, A compact two-dimensional grating coupler used as a polarization splitter, IEEE Photonics Technology Letters, 15(9), p.1249-1251 (2003) . 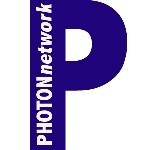 G. Morthier, B. Moeyersoon, Intensity Noise and Linewidth of Laser Diodes with Integrated Semiconductor Optical Amplifier, IEEE Photonics Technology Letters, 14(12), p.1644-1646 (2002) . S.-P. Gorza, C. Cambournac, Ph. Emplit, M. Haelterman, D. Taillaert, B. Maes, R. Baets, Identification of gap soliton through phase measurement, Proceedings of OSA Topical Meetings : Nonlinear Guided Waves and Their Applications (NLGW 05), Germany, p.TuC4 (2005) . P. Dumon, W. Bogaerts, D. Van Thourhout, D. Taillaert, V. Wiaux, S. Beckx, J. Wouters, R. Baets, Cascaded Mach-Zehnder Filters in Silicon-on-Insulator Photonic Wires fabricated with deep UV lithography, European Conference on Optical Communication (ECOC) 2004, Th. (Post-deadline), Sweden, p.24-25 (2004) . B. Luyssaert, P. Vandersteegen, W. Bogaerts, P. Dumon, P. Sanchis, J. Marti, R. Baets, A Versatile Optical Spot-Size Converter Design, European Conference on Optical Communication (ECOC) 2004, We(3), Sweden, p.468-469 (2004) . P. Dumon, W. Bogaerts, J. Van Campenhout, V. Wiaux, J. Wouters, S. Beckx, R. Baets, Low-loss photonic wires and compact ring resonators in Silicon-on-insulator, SPIE International Symposium Photonics Europe, France, (2004). R. Baets, W. Bogaerts, Nanophotonic waveguides in SOI by means of deep UV lithography, Photonic and Electromagnetic Crystal Structures (PECS-V) (invited), Japan, p.160 (2004) . B. Luyssaert, P. Vandersteegen, W. Bogaerts, V. Wiaux, J. Wouters, S. Beckx, R. Baets, Compact Photonic Spot-Size Converter, Photonic and Electromagnetic Crystal Structures (PECS-V), Japan, p.193 (2004). P. Dumon, W. Bogaerts, J. Van Campenhout, V. Wiaux, J. Wouters, S. Beckx, R. Baets, Low-loss photonic wires and compact ring resonators in silicon-on-insulator, LEOS Benelux Annual Symposium 2003, Netherlands, (2003) . D. Taillaert, W. Bogaerts, R. Baets, Efficient coupling between submicron SOI-waveguides and single-mode fibers, IEEE/Leos Benelux Annual Symposium 2003, Netherlands, p.289-292 (2003). W. Bogaerts, P. Dumon, V. Wiaux, J. Wouters, S. Beckx, R. Baets, Tolerance control for photonic crystal structures fabricated with deep UV lithography, ECOC 2003, 5, Italy, p.46-47 (2003) . H. Desmet, W. Bogaerts, A. Adamski, J. Beeckman, K. Neyts, R. Baets, Silicon-on-insulator optical waveguides with liquid crystal cladding for switching and tuning, ECOC 2003, 3, Italy, p.430-431 (2003) . W. Bogaerts, V. Wiaux, P. Dumon, D. Taillaert, J. Wouters, S. Beckx, J. Van Campenhout, B. Luyssaert, D. Van Thourhout, R. Baets, Large-scale production techniques for photonic nanostructures, Proc. SPIE (invited), 5225, United States, p.101-112 (2003) . W. Bogaerts, V. Wiaux, D. Taillaert, S. Beckx, R. Baets, SOI Photonic Crystal components fabricated with deep UV lithography, PECS-IV, United States, p.40 (2002) . W. Bogaerts, V. Wiaux, D. Taillaert, S. Beckx, R. Baets, Photonic Crystal Waveguides in SOI fabricated with deep UV lithography, European Conference on Optical Communication ECOC 2002, Denmark, p.4.4.5 (2002) . R. Baets, Managing out-of-plane coupling 2D crystals, Workshop and EOS Topical meeting -Two Dimensional Photonic Crystals (invited), Switzerland, (2002). W. Bogaerts, D. Taillaert, R. Baets, V. Wiaux, S. Beckx, Deep UV lithography for mass-manufacturing photonic crystal based components, Workshop 2D photonic crystals, Switzerland, p.III-24 (2002). W. Bogaerts, D. Taillaert, R. Baets, V. Wiaux, S. Beckx, Large-scale production techniques for photonic nanostructures using excimer laser replication, Integrated Photonics Research (IPR) (invited), Canada, (2002) . R. Baets, Towards nanophotonic integrated circuits: the challenges, Conference on Optoelectronics and Optical Communications (COOC 2002) (invited), 9(1), p.3-4 (2002). W. Bogaerts, P. Dumon, V. Wiaux, J. Wouters, S. Beckx, D. Taillaert, B. Luyssaert, J. Van Campenhout, D. Van Thourhout, R. Baets, Nanophotonic waveguides in Silicon-on-Insulator Fabricated with CMOS Technology, 1st Flanders Engineering PhD Symposium, Belgium, p.63 (2003) . B. Luyssaert, P. Vandersteegen, R. Baets, Compact Photonic Spot-Size Converters, FTW PhD symposium, Belgium, p.57 (2003) . W. Bogaerts, P. Dumon, V. Wiaux, J. Wouters, S. Beckx, D. Taillaert, B. Luyssaert, J. Van Campenhout, D. Van Thourhout, R. Baets, Nanophotonic waveguides in Silicon-on-Insulator Fabricated with CMOS Technology, 4th UGent FTW PhD Symposium, Belgium, p.56 (2003) . B. Moeyersoon, G. Morthier, R. Baets, On the influence of optical amplifier noise on laser performances, IAP - Photon Doctoral School 2003 Couvin, Belgium, (2003). D. Taillaert, R. Baets, A grating-coupler interface between photonic integrated circuits and optical fibers, 3rd FTW PHD Symposium, Interactive poster session, paper nr. 64 (proceedings available on CD-Rom) , Belgium, (2002). J. Van Campenhout, W. Bogaerts, D. Taillaert, R. Baets, Compact photonic-crystal waveguides in Silicon-on-Insulator: design and experimental verification, LEOS Benelux Photonic Crystal Workshop, Belgium, (2002). W. Bogaerts, V. Wiaux, D. Taillaert, S. Beckx, R. Baets, Making lots of little holes (Or using CMOS mass fabrication technology to make photonic crystals), LEOS benelux Photonic Crystal Workshop, Belgium, (2002).